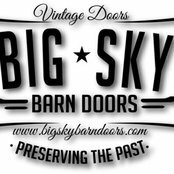 Every Door Has A Story….whether it be from a historic homestead, barn or industrial building, your Big Sky Barn Door will come with a story of its own. 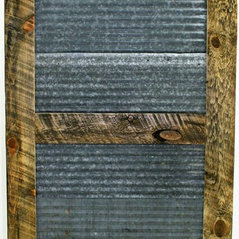 Included with each door is a short summary about the location of where the materials were harvested. 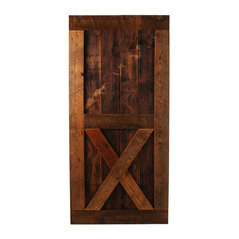 Each Big Sky Barn Door is unique in its character and is a true conversational piece. 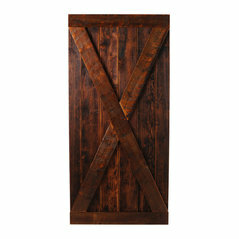 Own a piece of Montana today with a Big Sky Barn Door! 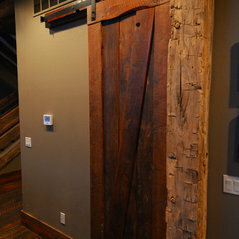 Big Sky Barn Doors, LLC is a Montana based company located in the heart of the Gallatin Valley. 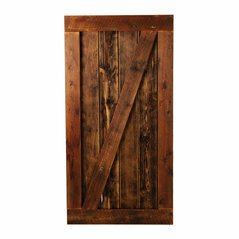 Each sliding barn door is handcrafted from reclaimed barn wood across Montana. We take pride in our craftsmanship and quality inspect each door. 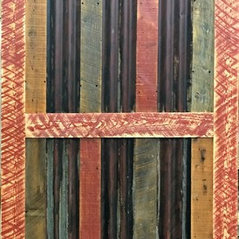 Once we have created your door, we will submit pictures directly to you for approval before shipping to ensure the look and quality is up to your expectations. Kommentiert: kgThe bark does not come off. 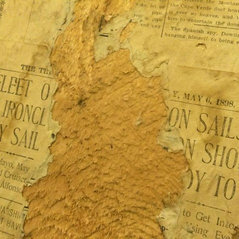 It is Poplar Bark and is often used for siding and accents on homes. 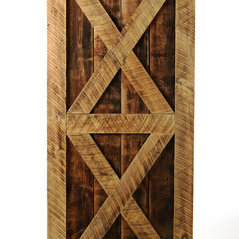 It is very durable and we put a couple of layers of lacquer on as well. 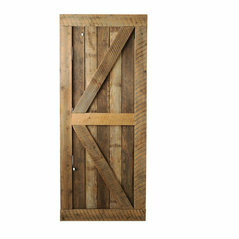 Kommentiert: Is the width compatible with sliding barn door hardware? How thick?Compatible with hardware. 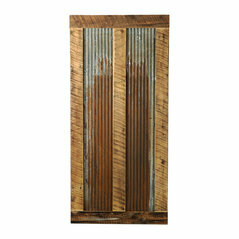 Thickness is around 1 3/4 inches, dependent upon reclaimed material used at time of job. 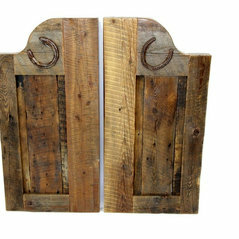 Kommentiert: big horn other sideThe back is straight planked barn wood. 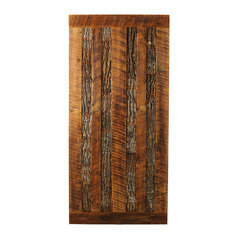 We can trim in 2 Inch for an additional charge. Thanks for your question. Kommentiert: what does the other side look like? 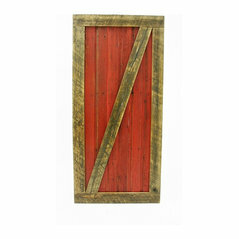 can be used a s an exterior doorThe back of the door is straight board to board vertical barn wood. 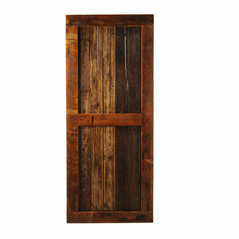 Kommentiert: what does the other side ;look like?The back of the door is straight vertical board to board barn wood.